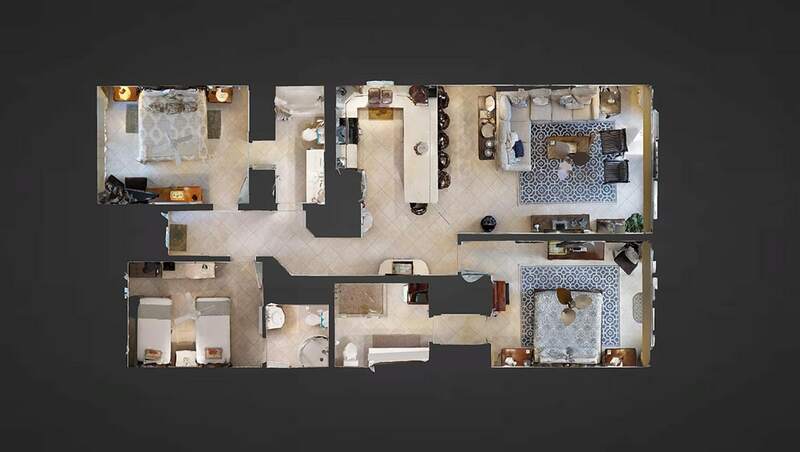 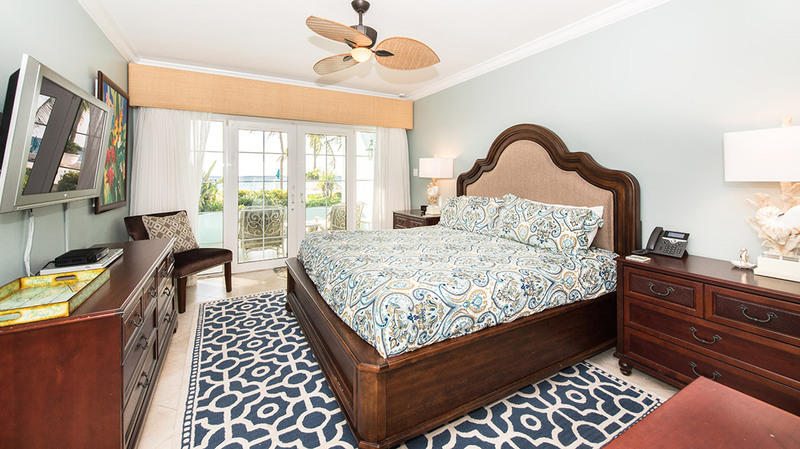 Showcasing a modernized colonial style décor, this condo is spread out over 1,800 square feet, along with wrought iron accented furniture, high-backed bar stools, and wooden-post bedframes. 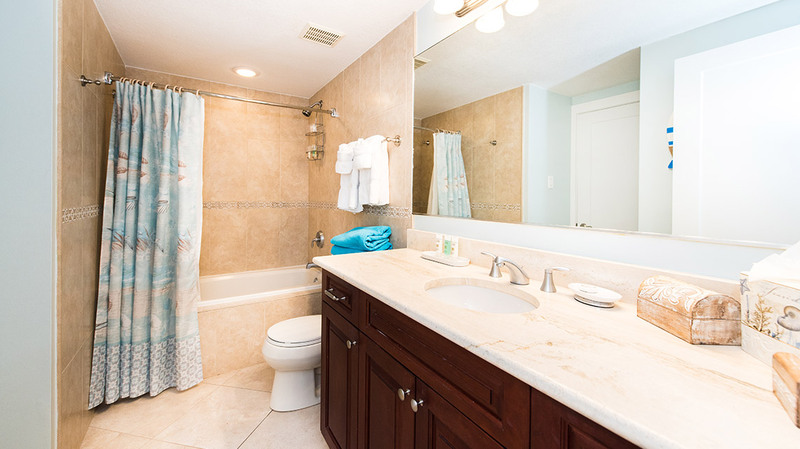 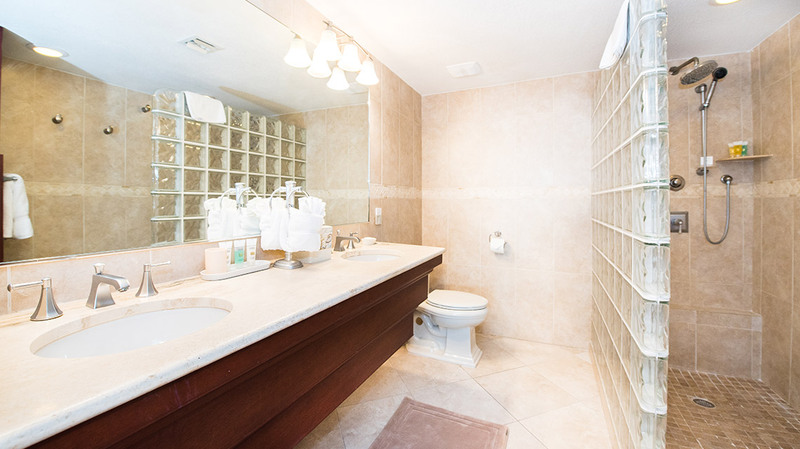 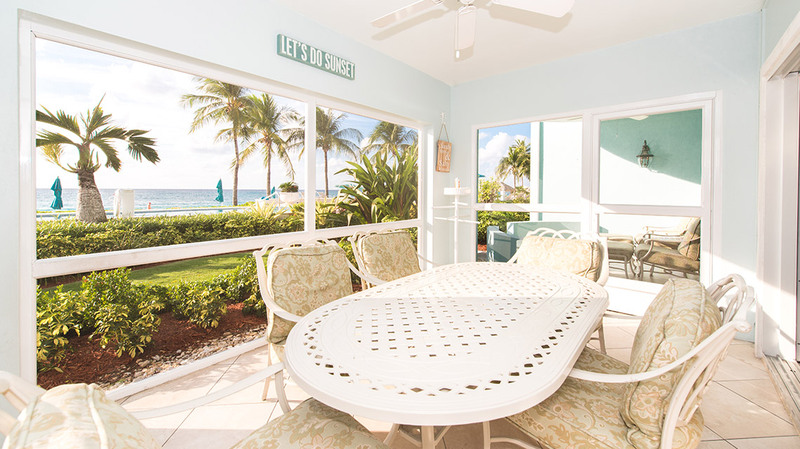 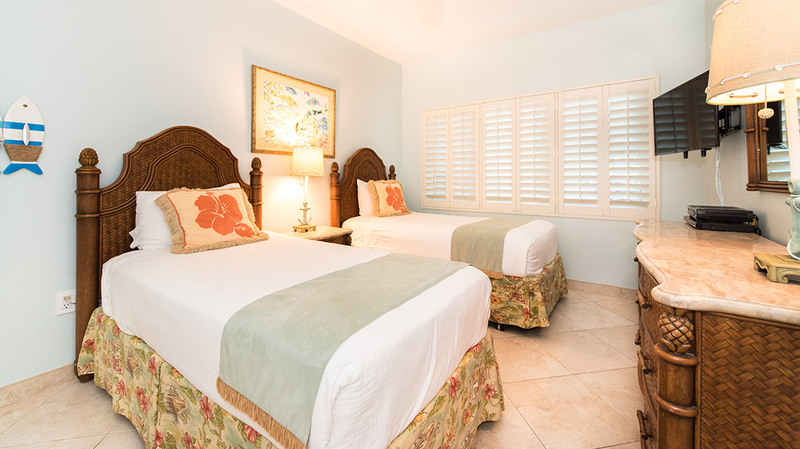 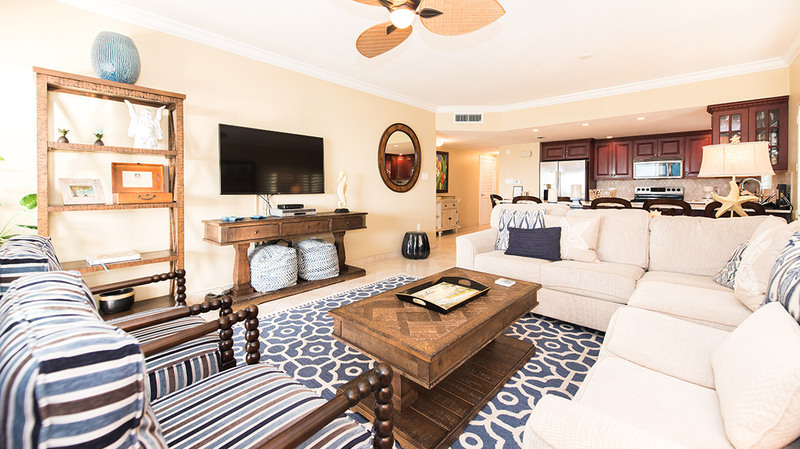 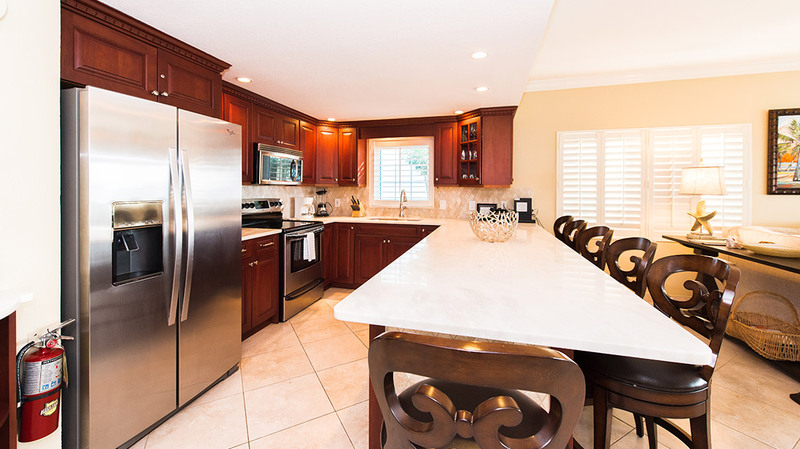 With 3 bedrooms and 3 bathrooms, this Cayman Island condo rental comfortably sleeps up to seven. 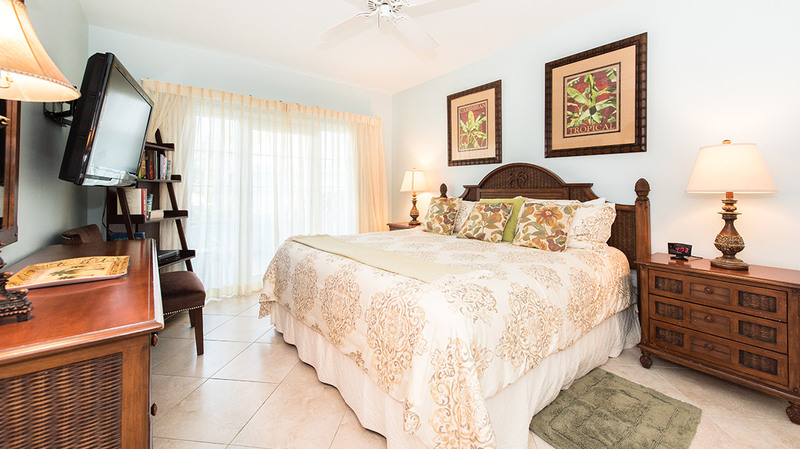 The master bedroom and one guest bedroom both feature king-sized beds, and the third bedroom is equipped with two twin beds. 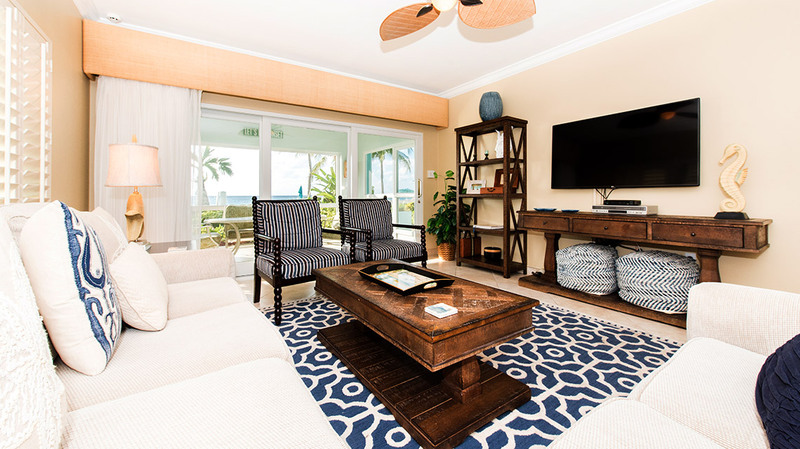 Gorgeous in every sense of the word, this suite is also surrounded by exotic, lush greenery on the ground level.